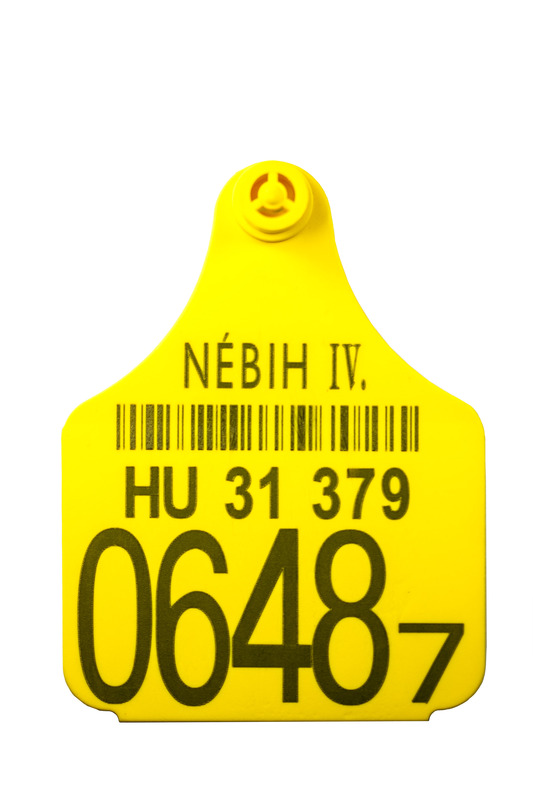 ARDES has been manufacturing high quality animal identification tags in France for over 30 years. So, ARDES allows you to equip your animals in visual ear tags of high quality. A wide range for all your needs. The ARDES visual range is composed of blank or printed ‘female’ and ‘male’ eartags, as well as applicators for installation. 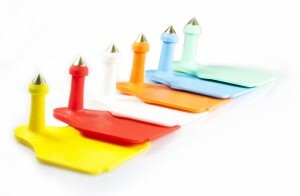 ARDES tags are suitable for printing on by ink, laser or hot-stamping. We have tags to suit a range of breeders – cattle, sheep, goat and swine – with different eartag sizes and 6 standard colours (yellow, white, blue, orange, red and green) to choose from. Finally, we do not have more than to fix the ear tags on the animal in order to obtain the best result! ARDES has designed and developed an innovative locking system. Snapping requires little force to the user and certifies a high resistant without damaging the ear of the animal. Various laboratory and field tests allow you to benefit from a long-lasting and reliable product. 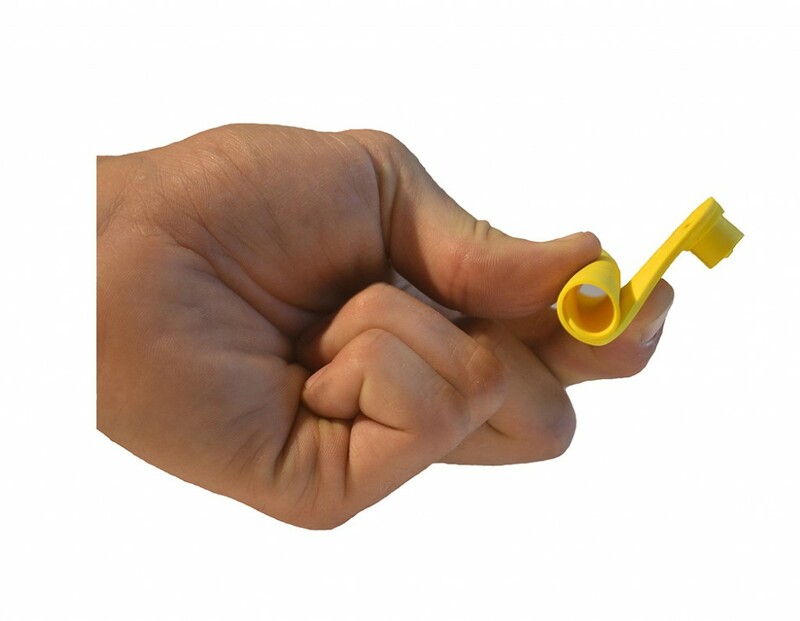 The main component of the eartags, premium polyurenthane, ensures long term resistance against UV and extreme weather conditions. 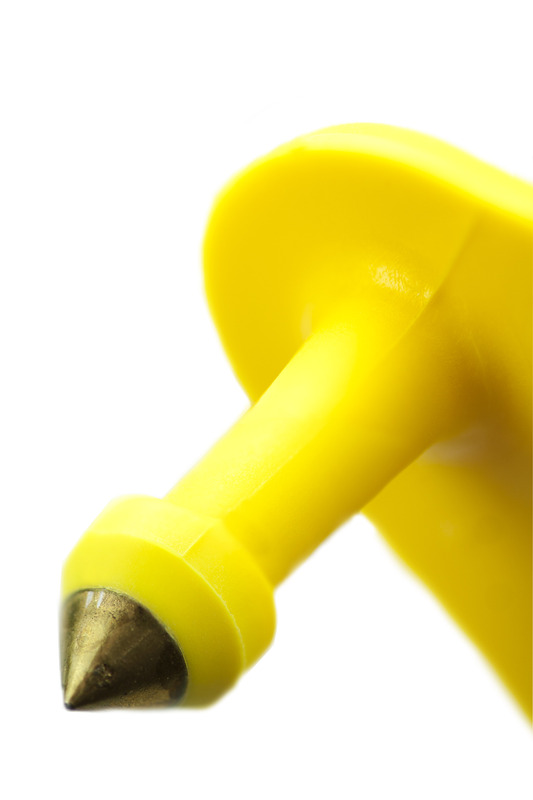 In addition, our successful marking equipment allows ARDES eartags to remain legible for more than 8 years. The ARDES visual tags are officially approved in many countries meeting the health standards set for cattle, sheep, goats and pigs. The stainless steel metal tip of the male ear tag allows a clear and precise incision. Risk of infection is limited due to the free movement between the male and female parts.